Why we discuss Vape E-juice safe issue? Many Vape E-juices have Risk. Wellon Vape experts told Olivia that many e-juices have risk for your health. Due to some of Vape e-juices with diacetyl and acetyl propionyl put you well above recommended exposures. Go deep to read why those Vape E-juices have Risk. Why you should avoid diacetyl & acetyl propionyl vape e-juice? However, as we’ve laid out here, even if we don’t necessarily know if vaping the amounts of diacetyl we’re exposed to is dangerous, there is an undeniable risk. At higher quantities – and not that much higher – we know that diacetyl damages the lungs. So why would you choose to have it in your juice? If you really need a diacetyl-loaded flavor to enjoy vaping and avoid smoking, it’s better to vape it than to go back to smoking. Cigarettes contain hundreds of times more diacetyl than e-liquids, so vaping is clearly the safer option. However, if you don’t need the buttery, sweet diacetyl flavor to enjoy vaping, avoiding it is the sensible move if you want to minimize your risks. It’s really easy to find a diacetyl-free e-juice these days, because many juice companies recognize the risk and ensure their flavors are diacetyl-free. If you’re looking for diacetyl-free e-juice, though, only choose flavors with lab reports confirming that they don’t contain detectable amounts of the chemical. Acetyl propionyl isn’t as well-studied, but all indications are that the risks are similar to diacetyl. How to choose good Vape e-juice? In one word, you should take care about your Vape e-juice, avoid diacetyl and acetyl propionyl. If you have any question about Vape e-juice, please contact wellon Vape experts. Previous PostHow to choose right nicotine e-liquid for your vape? 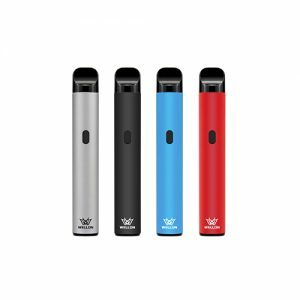 Next PostHow to Choose Safe Vape with Temperature Control Mods?